A common and incorrect myth about the 203k loan program is that it has to be for distressed properties such as Foreclosures, Short Sales or Bank Owned Properties (REO’s). This is a totally false representation. The 203k loan can be used to purchase a home in any neighborhood or condition. The “Full 203k” program can be used for renovations or additions in excess of $35,000 on homes in most areas of the USA, including Chicago, IL, up to the maximum loan amount, which is currently over $700,000 in some areas of the country depending on the state and county you choose to live in. The “Streamlined” version of the 203k may be an option for your project. In general, you must have work done that’s more than $5,000 and does not exceed $35,000 in repairs. Those repairs have to be for simple things like carpet, roofing, paint, cabinets, minor repairs, new windows, etc. 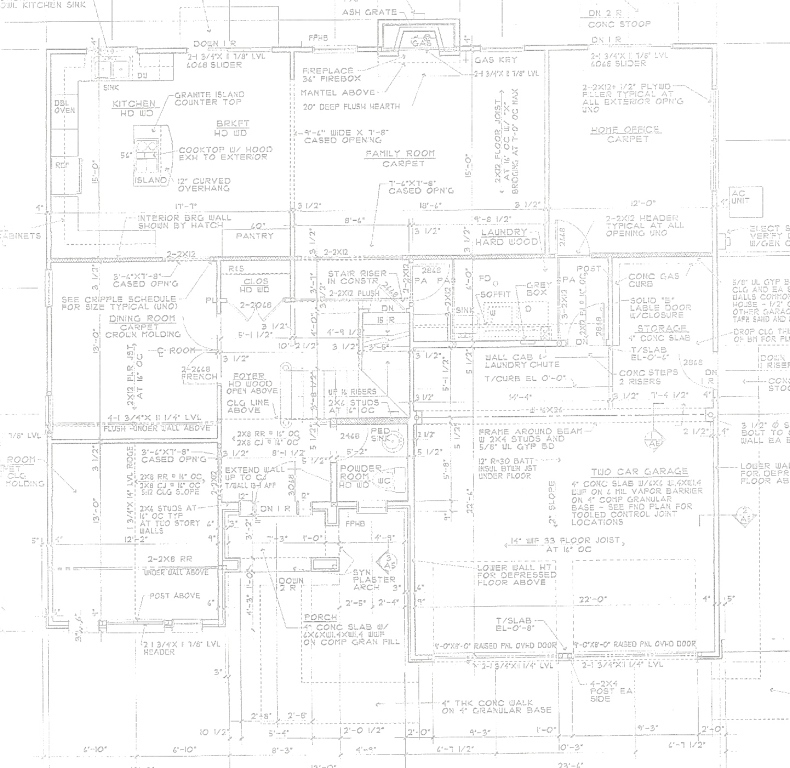 There can be no structural issues or changes to the project that require blueprints. The Full 203k loan can be used for additions and larger projects up to $125,000 and sometimes more. Contact a 203k Lender and get pre-qualified. We can assist you in finding a lender that we’ve worked with to ensure that you’ll get the best service. Set an appointment with us as your 203k Consultants. As your consultant, I will meet you at your site and review copies of the contracts and agreements required for the 203k loan given to you by your lender that you will need to sign prior to the close of the loan. After our meeting and the HUD/FHA Home Inspection that I will provide, I will create a “Job Specification & Bid Request”, which is a list of the FHA required repair items to be completed. I will also list inclusions you may want to add like new cabinets and flooring, window, etc. I will also forward copies of the various reports to your lender to assist you in the loan process. Get contractor bids, by using the “Job Specification & Bid Request” prepared by me as your Chicago, IL FHA 203k loan consultant. Choose a contractor. As your consultant, I can assist you in this process and verify contractor compliance to the specifications. The lender will hire an appraiser and once the appraisal report is done, in most cases, your lender can close the 203k loan. Schedule the contractor to begin the work. Once the work begins, the contractor will require continuing inspections called “Draw Requests” to get progress payments for the work as it’s completed. As your Chicago, IL 203k loan consultant I will inspect the project and prepare these documents and repeat the procedure until the project is complete. 3. The Possibility of a Consultant to perform all of the above Functions Including Cost Estimates. What Is The Consultant's Role? The loan consultant is the KEY to the 203(k) program. If the lender had to rely on the homebuyer (or their contractor) to do their own work Write Up and cost estimate, it would take probably 3 to 6 months to get their package acceptable for the lender to proceed to the appraisal stage. As you can imagine, this is too long for the mortgage lender to deal with the property. To cut this time frame down to approximately 2 weeks, the lender will allow the borrower to obtain the services of an independent consultant to prepare the construction exhibits. The 203(K) Consultant was created to address the need for Direct Endorsement Lenders to better control timeframes through the use of an individual who can formulate the work Write-Up by consolidating the functions of a Home Inspection, site visit and the creation of the bid package. We, as Chicago area 203k loan consultants, have an extensive construction background with advanced home inspection skills and remodeling experience. It’s our responsibility, as consultants, to complete the home inspection and construction exhibits as soon as possible after you, the borrower, sign the sales contract in order for the lender to request the appraisal of the property. In order to attain this goal, the consultant must be able to prepare the work Write Up and cost estimate without using outsiders to obtain bids from. We, as your consultant, are expert in this function and use cost estimates that are reasonable for the area in which the property is located. After the work Write Up and cost estimate is completed, you will begin the bidding process with the contractors or subcontractors you select for your project. The upgrading of the dwellings thermal protection (where necessary). The HUD/FHA Home Inspection Report should address any deficiencies that exist and certify the condition of all major systems: electrical; plumbing; heating; roofing and structural. A wood-boring insect report should be included for all loans if required by the lender. It is possible other reports may also be required. For properties with private sewer and water, a septic certification and a private well analysis is required. If we, as your Chicago area 203k loan consultant, determine that additional professional expertise is needed to provide all the inspection services required to complete the report, we will make such recommendations at the time of inspection. "The Home Inspection is the Cornerstone of a successful FHA 203(k) Mortgage." As a part of the application process for an FHA 203(k) Rehabilitation Mortgage, a home inspection report on the current condition of the property is required. In most cases, the Home Inspection Report will be the Direct Endorsement (DE) Underwriter's only "view" of the property in its as-is condition. HUD is not looking for the consultant to make the house perfect, but only determine if the house needs to be repaired based on the above mentioned items. It is essential that this inspection be carried out in the utmost professional and competent manner. We, as your Chicago, Illinois area FHA 203k loan consultant, will refrain from making our own personnel opinions about the property, while still maintaining our role as an advisor to you, the borrower and protecting the interests of the lender and HUD. In accordance with HUD, “The consultant should not have an identity-of-interest in the property. The Home Inspection should not be performed by anyone with an identifiable interest in the transaction (seller, buyer or contractor). If the consultant has an identifiable interest in the transaction, then the work Write Up and cost estimate that they prepare must be reviewed by a HUD assigned plan reviewer, who will also do the inspections on the property. If there is no identity-of-interest present, then the consultant can perform the Home Inspection function, prepare the architectural exhibits and do the inspections on the property where approved by the local HUD Office”. As you well know, in today's Real Estate Market, buyers, Realtors' and lenders want to take the "path of least resistance" when it comes to putting a deal together using the FHA 203k program. Although sometimes daunting, it's easier than you think. Whether it's the Streamline or the Full program you can avoid all the usual pitfalls, delays and unnecessary fees associated with property selection and loan type if you just re-think the procedures you normally use. Whether your clients are looking at REO’s, Short Sales or Foreclosures, there’s many steps required that pile up the fees without even knowing if the deal is “do-able”. First, after an offer has been accepted, there’s an Appraisal that costs about $375, then a Home Inspection that can be up to $350. After that, if it’s a Full 203k loan, an FHA Fee Inspector (203k Consultant) has to inspect the property which runs on average, about $600. Even if it’s a Streamline (under $35,000), there are many lenders that require the use of a Consultant because the process runs smoother and gives the lender the added confidence that nothing has been missed and that paperwork will be administrated properly. So, after it’s all said and done, the buyer has spent between $1,100 and $1,300 without actually knowing what the renovation cost will be! It doesn’t have to be that way. In a time when buyers sometimes preview many homes before making an offer, or Realtors take listings that are potential 203k projects, it would be easier if most of the answers could be obtained BEFORE all that time and money is spent. Most of the time buyers and sellers have many questions about the actual details of the 203k programs as it relates to the actual construction costs. That’s where a 203k Consultant comes in. Recently, we’ve been providing clients with a low cost alternative to all those “up front” costs, it’s called a Feasibility Analysis. A Feasibility Analysis is a quick inspection of the property by the 203k Consultant, with a “rough estimate” of work that will be necessary to comply with HUD requirements. The cost of the Feasibility Analysis is $200. In most cases, this is the best way to start out when a buyer is choosing a 203k loan. It quickly determines the extent of ancillary repairs and exposes possible structural deficiencies, which can require the buyer to spend more money on the renovation than anticipated. Once the buyer knows the extent of the rehabilitation, they can move forward with confidence. The next step saves the buyer more money! Now that the budget has been established from the Feasibility Analysis, the 203k Consultant can perform the required, all-inclusive HUD/FHA Home Inspection and complete Work Write Up for one fee, eliminating the need for an additional Home Inspection. This direct approach eliminates wasting time and money on multiple properties that are not in the budget or exceed loan values. “I trust the “added value” of using a 203k Consultant in this way will bring clarity, confidence and structure as an antidote for the uncertainty and disillusion that sometimes finds its way into selecting the right home”. A Feasibility Analysis is a quick inspection of the property, with a “rough estimate” of work that will be necessary to comply with HUD requirements. The cost of the Feasibility Analysis is not included in the total 203k Consulting Fee as it is a separate process and requires a separate trip. In many cases this is the best way to start out when a buyer is choosing a 203k loan. It quickly determines the extent of ancillary repairs and exposes possible structural deficiencies which can require the buyer to use the Full 203k program. A Full Work Write Up includes the following: a) A detailed General Description of the property "as-is" in a narrative form; b) the Scope of Rehabilitation that will include a narrative of required repairs and any additional work requested by the client; c) all applicable FHA forms for review, contractor and consultant agreements and Architectural Exhibits for the work including a 203k Self-Help Agreement; d) a Write Up Synopsis which includes a summary list of who's doing the work, the job total, fees and expenses related to the rehab portion of the work; e) a detailed HUD/FHA Home Inspection Report; f) a complete Job Specifications and Bid request form to gather bids from; g) an initial Draw Request package with Re-Cap of Sub-Totals. The use of a Consultant for a Streamline is called a Plan Review. To use this product you MUST have a contractor bid(s), pest report (unless waived by the lender), and a home inspection. If these are not available upon our site visit this isn't a Streamlined (k) inspection and will be considered a Feasibility Analysis and charged accordingly. Plan Review Fee: Prior to the appraisal, the 203k loan Consultant must visit the site to ensure compliance with program requirements. The utilities must be on for this site review to take place. The fee is as follows: Cost of Repairs/Fee is $200.00 plus mileage. In many cases this is also a good way to start out when a buyer is choosing to use a 203k loan. It quickly determines the extent of ancillary repairs and exposes possible structural deficiencies which can require the buyer to use the Full 203k program. Although Streamlines are most popular among lenders and brokers because of diminished paperwork, they're sometimes "fraught with peril" to close because of the inadequacy of client knowledge, preparations and expectations aside from the fact that they're told "and you don't need a Consultant". That's right you don't but you don't need a Realtor either or a contractor and on and on. The reality is that the program, no matter which one it is, will always run better if organized and administrated properly by professionals in every capacity. I encourage my sales and financial resources to advocate for the use of a Consultant because more transactions are actually completed especially in this current financial climate when speed and accuracy are everything. Although a loan may be Streamline, a full Work Write Up should be an essential tool that will insure success. If clients knew they could include consultancy fees into the mortgage more buyers would make use of this professional service. Please contact us to help you put your “Team” together and to answer any questions you might have regarding the program.